Seaescape Cottage01263 715779work01603 870304fax Self-cateringMundsley is famous for its wide sandy beaches, and its unspoilt village atmosphere. Seaescape Cottage is a short stroll to the beach, where you can enjoy swimming, paddling, sandcastle building and cliff top walks. This end terrace overlooks a park, and has been renovated to provide comfortable and well equipped accommodation. An updated Victorian terrace property. Seaescape Cottage offers weekly bookings starting on Saturday. Seaescape Cotta offers weekly bookings starting on Saturday. 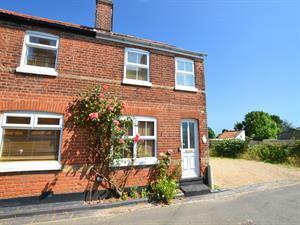 Mundsley is famous for its wide sandy beaches, and its unspoilt village atmosphere. Seaescape Cottage is a short stroll to the beach, where you can enjoy swimming, paddling, sandcastle building and cliff top walks. This end terrace overlooks a park, and has been renovated to provide comfortable and well equipped accommodation.